Here’s our top picks for the best gaming chips. For Intel Coffee Lake users, there is only one chipset available to complete a six-core blue team build – Z370. 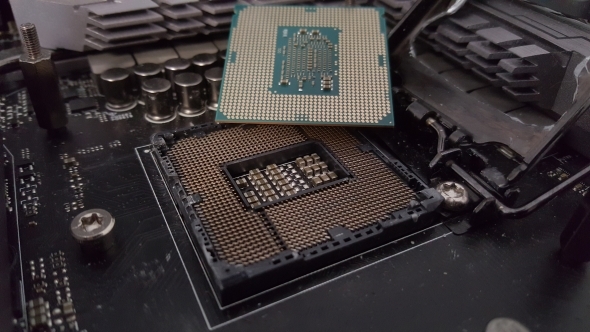 You can thank some Intel low-level software shenanigans for that, which makes older Z170 and Z270 boards incompatible with the latest chips, despite their common LGA 1151 socket. Intel cited increased power demand of Coffee Lake chips as their reasoning behind locking the boards, with older motherboards unable to offer the levels of power delivery necessary for top performance from the two extra cores. Product manager for Asus ROG motherboards, Andrew Wu, in an interview with Bit-tech, confirmed that the Z370’s power delivery makes little difference in the functioning of Coffee Lake chips – at least, it doesn’t for Asus boards. Wu confirms that Asus could have made last-generation motherboards compatible with Coffee Lake processors, and that they weren’t able to due to the fact that “Intel somehow has locked the compatibility” within their ME (Management engine). 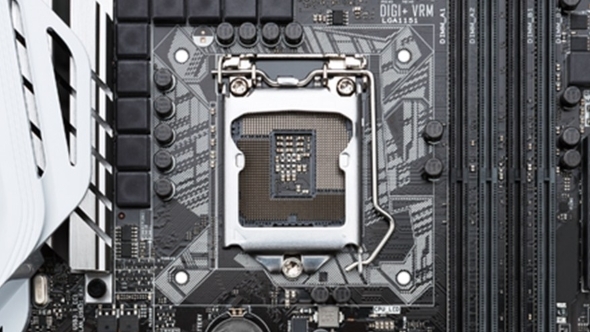 The Asus representative also leaned heavily towards the rumours of higher core count processors arriving within the eighth generation, hinting that some of the extra power pins on the Z370 chipset are “in preparation for high-core count processors.” If this is indeed the case, these processors are expected to also make use of the mysterious Z390 chipset arriving in the second half of 2018. 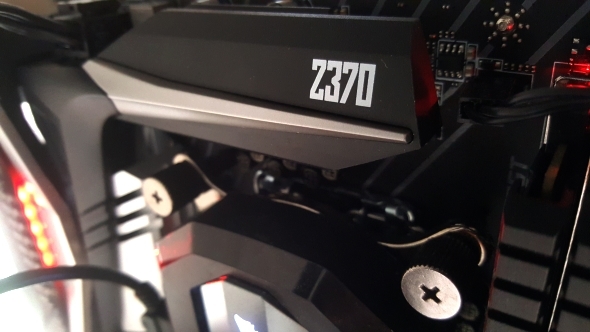 Despite the software limitations, it is still likely that the potential for high clockspeeds and further overclocking headroom may have been limiting for Coffee Lake on Z270 boards and below – in which case, most customers would likely opt for a Z370 board and its enhanced power delivery, regardless. At one point in time, Coffee Lake processors may have been supported across some Z270 boards, but not all, with Intel deciding that the easier – and likely more profitable – option of limited board support to the latest chipset was the best course of action. This decision has understandably garnered anger from gamers and enthusiasts looking to upgrade to hexacore on their current LGA 1151 systems, especially in the case of this required power delivery system being unnecessary for all but K-series Coffee Lake and unreleased high-core count chips. It’s a little strange for a motherboard manufacturer representative to talk on the controversial matter, considering Asus are set to benefit greatly in sales due to the closed Coffee Lake system platform, at least they will once six-core chips are available en masse and the remaining chipsets are finally launched. Of course, these are unconfirmable theories on compatibility, with no real way of testing these claims without someone circumventing the restriction, or Intel removing them from their ME altogether. Both of which are about as likely as Corsair ditching RGB from all of their products ‘for the greater good’.